Havent used it yet but it rolls extremely smoothly and has lots of organizational pockets, etc. I have one form 3 years back that I use a lot. Thanks Samantha for being so thoughtful. I just added this larger piece of luggage to compliment my other set. 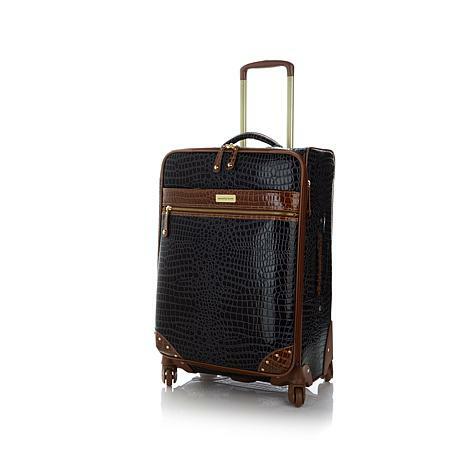 This luggage has all of the bells and whistles. Its structure allows for unbelievable extra room for packing. Will never own any other brand of luggage. No others compare to Samantha Browns. 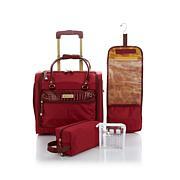 I admired the Samantha Brown Classic luggage collection for about 2 years. One day, while surfing the television, I saw that she, (Samantha Brown) was on HSN, so I began watching. It was at that point that I said I was not putting it off any longer. I purchased this piece and another set. 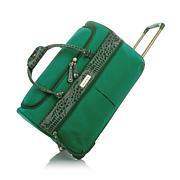 This luggage is gorgeous, luxurious/looking, practical, and durable. I am in love with this luggage. I cannot wait for the watermelon to become available again! 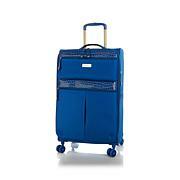 This suitcase is very sturdy and a perfect size I love the color and a texture.